Nicholas is a third year student in the Department of History at Carleton University. In addition to being a member and RA with the CNHH, Nicholas interns with Cuso International and was enrolled in HIST 3807A Practicum in History where research on this article was undertaken under the supervision of Jennifer Buter, Communications Officer at Cuso. The CNHH thanks Cuso and Dr. John Walsh, who ran HIST 3807A, for their support with this project. Over the course of a semester, I spent several months on a practicum with Cuso International, a Canadian international development non-governmental organization (NGO). 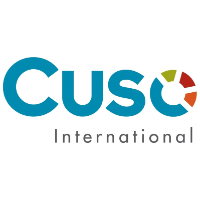 Cuso International develops partnerships with developing countries around the world and sends volunteers on two-year contracts. During these months I spent at Cuso International’s Ottawa office, I researched the history of the organization during the 1980s and 1990s. In that time, I learned about Cuso International’s initiatives during these years, like its support for the anti-apartheid movement, and some notable alumni (returned volunteers) who volunteered with Cuso International during those years.